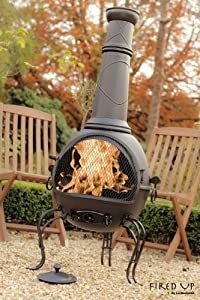 We are currently selling the popular 136cm Black Steel Chiminea Chimenea With Bbq Grill at a slashed price. 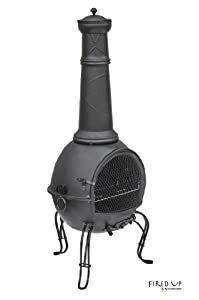 Don't pass it by - purchase the 136cm Black Steel Chiminea Chimenea With Bbq Grill online today! 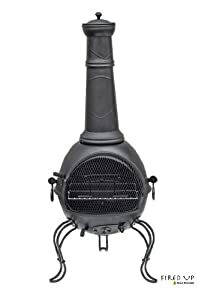 An extra large steel chimenea that inculdes a chrome plated cooking grill. 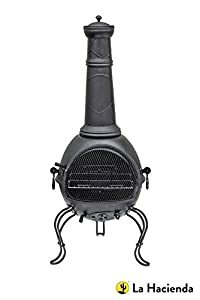 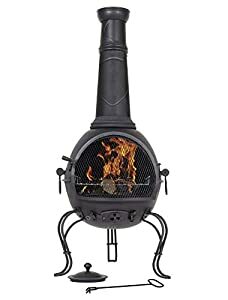 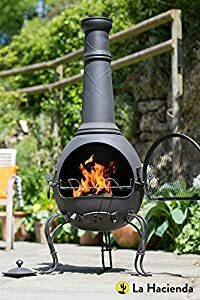 -Solid and durable steel construction -Includes a slide-in cooking grill -Ideal centrepiece for large patios -Traditional design -Height: 136cm, Diameter: 48cm Perfect for adding heat to your garden and BBQ style cooking, the Murcia chimenea will keep you warm long into the night.